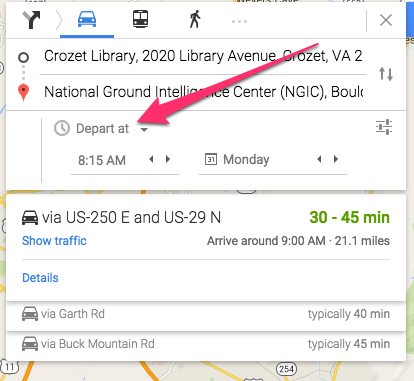 Did you know – Google has a “leave now” option that integrates traffic? Pretty handy, I’d say. But at rush hour, add about 5 minutes. Without knowing, I’ll chalk this up to the purchase of Waze by Google in 2013 and Google Now integration on more devices. Glad to see they’re finally doing this as it’s something I’ve often wanted in the past.